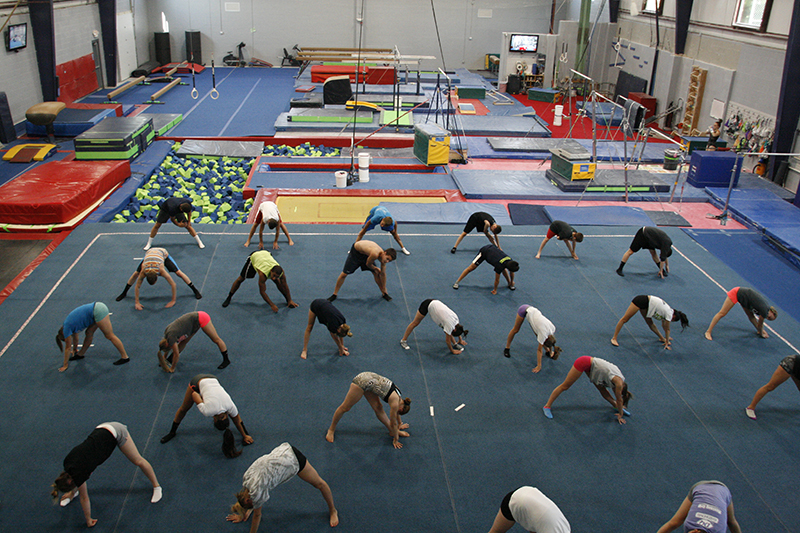 ASAP’s main gymnastics training facility, the Big Gym, is designed for optimal skill learning. The gym is equipped with the latest state of the art training tools and apparatus, which allows our students to safely achieve their goals and work to their highest ability. Classes and instruction are geared by age and ability to ensure safety and proper progression of skills. ASAP staff will work towards your child’s individual level to provide optimal learning. Register for the remainder of the 2018 Summer Session. Urban Gymnastics classes are one hour long and cost $68 per month. Our recreational boys program focuses on developing gymnastics abilities on the Floor Exercise, Pommel Horse, Still Rings, Vault, Parallel Bars, and Horizontal Bar. Students will also increase their skills by use of our trampolines, tumble trak and training pits. Additional work to improve strength, coordination and flexibility is also emphasized. Boys classes are one hour long and cost $70 per month during the school year session. All students must be the age as of the first day of the month the session begins. The recreational girls gymnastics program is designed to provide interactive instruction on the four main Olympic events for women’s gymnastics: Vault, Uneven Bars, Balance Beam, and Floor Exercise. Additional instruction is provided on our trampolines, tumble trak and training pits. Strength and flexibility is also stressed in our class curriculum to optimize learning and fun. Students must meet the age requirement as of the first day of the month the session begins. Beginner, 1 hour $70 per month during the school year This class gives instruction on the basic fundamentals of gymnastics while incorporating strength, flexibility and locomotor skills. Advanced Beginner, 1 hour $70 per month during the school year This class is for those girls with previous gymnastics experience. Basic gymnastic instruction continues while the students learn sequencing of skills and working on form and presentation of the skills. Gymnasts must have a recommendation from an ASAP instructor. Intermediate, 1.5 hours $94 per month during the school year This class offers more time in the gym to allow for progress on more advanced skills. Gymnasts must have a recommendation from an ASAP instructor. Advanced, 2 hours $106 per month during the school year This is our most challenging girls gymnastics class. A recommendation from an ASAP instructor is required. Gymnasts will be motivated to learn new, more difficult skills usually taught by one of our girls team coaches.